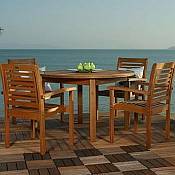 Eucalyptus Wood Patio Furniture is a smarter, less expensive, and ecologically friendly alternative to Teak Patio Furniture, and it is growing quickly in popularity. 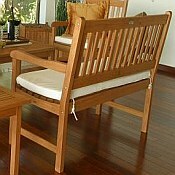 Like Teak, Eucalyptus is a durable and beautiful tropical hardwood that is naturally resistant to insect infestation and damage caused by moisture. 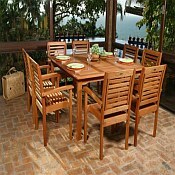 Unlike Teak, Eucalyptus trees are fast growing and more readily available; as a result, products made from Eucalyptus wood are less expensive. 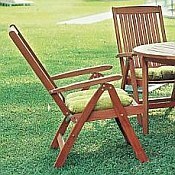 The beautiful Outdoor Eucalyptus Wood Patio Furniture offered at BackyardCity.com is constructed with stainless steel hardware for additional strength and durability. 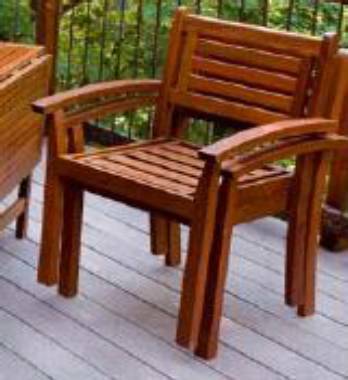 Eucalyptus wood is naturally easy to maintain, but each piece we offer is also finished with Polisten, a Brazilian product that provides even more protection against the damages of moisture and insects, extending the life of the furniture. 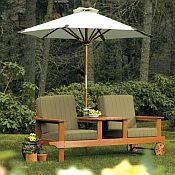 Additionally, you can feel good about purchasing this Eucalyptus Patio Furniture because the wood used to make this handsome outdoor furniture is certified through the FSC (Forest Stewardship Council). 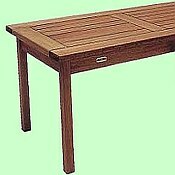 The Forest Stewardship Council (FSC) "is a non-profit organization devoted to encouraging the responsible management of the world's forests. 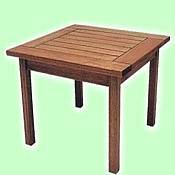 FSC sets high standards that ensure forestry is practiced in an environmentally responsible, socially beneficial, and economically viable way." 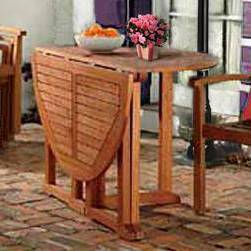 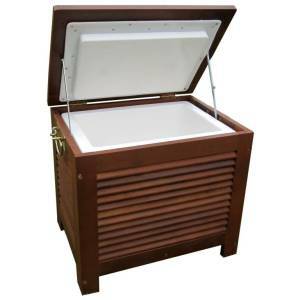 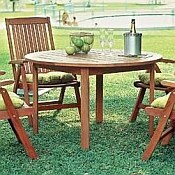 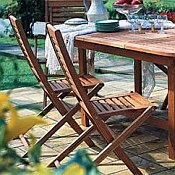 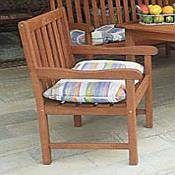 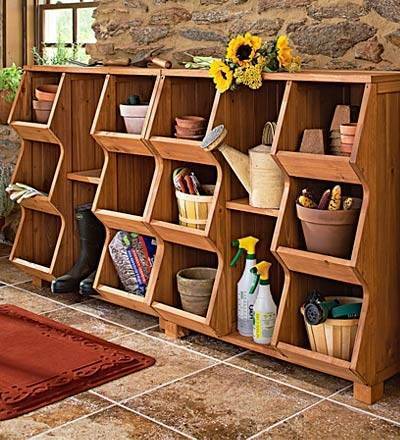 Read more about Maintaining Outdoor Wood Furniture in this informative article. 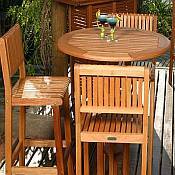 Read more about Eucalyptus Patio Furniture: The Affordable and Sustainable Choice in this informative article. 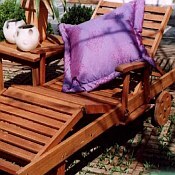 Please click a link or photo below for product details and pricing information. 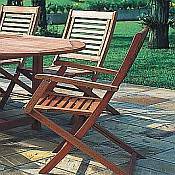 20" x 22" x 72"
Milano Patio Bench - 4 Ft.
35" x 47" x 19"
Milano Patio Bench - 5 Ft.
35" x 59" x 19"
36" x 19" x 14"
41" x 23" x 23"
Dimensions: 35" x 22" x 19"
Dimensions: 36" x 19" x 14"